· Compare carpet cleaning service prices; you can decide to use an in-house cleaning process or hire a professional. However, before hiring an expert, compare the costs that different companies charge to do this. To get the prices, simply log into their websites and see what they will charge per square kilometers. If you already have an idea about the measurements of your office carpet you will be better placed to know what different companies charge. But in case you are not sure about the size of your home, you can use an online calculator for estimates. By doing this, you will not be surprised when you see what the companies actually charge. · Research on the average rates in your area; typically, most professional carpet cleaning services charge 0.30 dollars per square meters. However, different companies charge different prices hence carrying out research will help you in knowing the best company to choose. This will ensure that you are not overcharged for this service. More importantly, understand the price package for each company so as not to incur any extra charge in future. Since some companies also have extra charges, inquire about them so that they do not come as a surprise. · Do your own carpet cleaning; as a matter of fact, professional carpet cleaning can cost as much as 600 dollars but if you clean you carpet alone with a portable machine it will cost you roughly $20. This means you can be able to clean your office carpet for something below $50. Although portable cleaning machines cannot clean as deeply as the machines that the professionals have, it is a good way to save money. Nevertheless, after doing this schedule professional carpet cleaning services to be done after every two weeks. 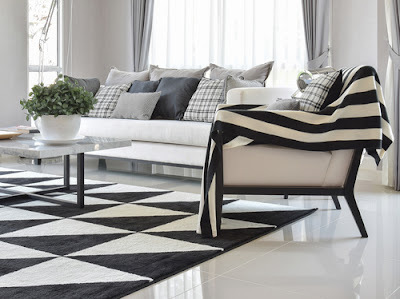 · Move your furniture before the cleaning professional arrive; essentially, most carpet cleaning companies will charge for removing office furniture. This is why it is wise to remove your furniture yourself before they arrive. If not, instruct them to clean only the affected areas and then charge you for that. By doing this, you will be saving a lot. Most office carpets just get dirty on the traffic areas hence, you can postpone cleaning other areas if you want to save money. · Check out for any special offers; before settling on any particular company, it is important to watch out for any special offers, discounts, or coupons that are being offered by different companies. You will realize that this is cost effective since some companies’ package can even offer you a cleaning deal that cleans your carpet one full day free of charge. While doing this, you need to be very careful about companies that have prices that are too good to be true. In fact, some of them advertise using lower prices so that they can get customers. Before hiring their services, ask them for a breakdown of costs and services so that you know what you will pay and the services that will get. · Find out about the company’s satisfaction guarantee; any company that provides customers a satisfaction guarantee is often confident about their services. This implies that their services are good. Inquire if the company guarantees their clients and that you will get your money back in case you are not satisfied. By doing this, you will not waste time and money hiring another company if the cleaning process is not effective. · Regularly schedule for deep steam cleaning; office carpets require regular deep steam cleaning. 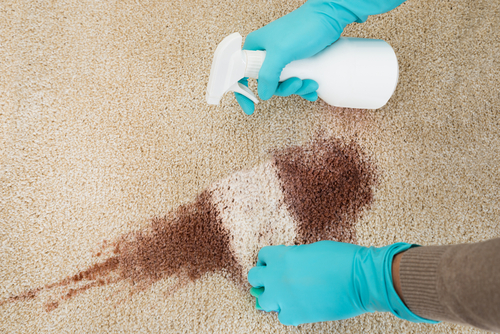 Forget about the common misconception that you should seldom deep clean your carpet. Leaving a lot of dirt on your carpet will eventually cause wear and tear. Since regular deep cleaning removes abrasive soil and dirt deposits you can prevent the wear and tear. Without doing this, the soil deposits will be grounded deep into your carpet because of the everyday foot traffic. It is recommended that you carry out deep cleaning by super heater water extraction method twice a year. This will is one of the best ways to save money. There you have it, some of the best ways to save money on office carpet cleaning. By doing this, you will not only save money but you will also ensure that your office carpet lasts long.